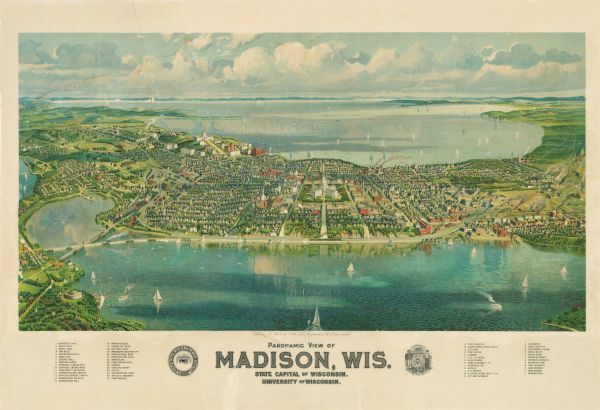 Colored map showing a panoramic view of Madison in great detail. The Wisconsin State Capitol is located at the center, with Lake Mendota in the background and Lake Monona in the foreground. The key beneath identifies 20 University buildings, 15 public buildings by type including 15 public schools, 20 churches, rivers, lakes, public attraction areas, and railroad lines by company. H. Wellge, Milwaukee, Wis. Publisher.